Norwood’s annual Toy Sweep event took place on Sunday 2 December providing a treasure trove of resources for Norwood’s children’s services as well as showering a number of children supported by the charity with Chanukah presents. Held at Smyths Toys Superstore in Staples Corner, the event saw dozens of volunteers and dedicated educators, therapists and social workers racing round the giant store collecting toys for Norwood’s family centres, its education and therapy services and Buckets and Spades short-breaks service. Now in its 19th year, the Toy Sweep was only made possible thanks to Norwood’s incredibly dedicated Toy Sweep Committee, who over the past year raised over £4,000 for the charitable event. Norwood also invited children and their families supported by the charity to join the party, and they were given free reign of the giant toy store to choose their very own toy. 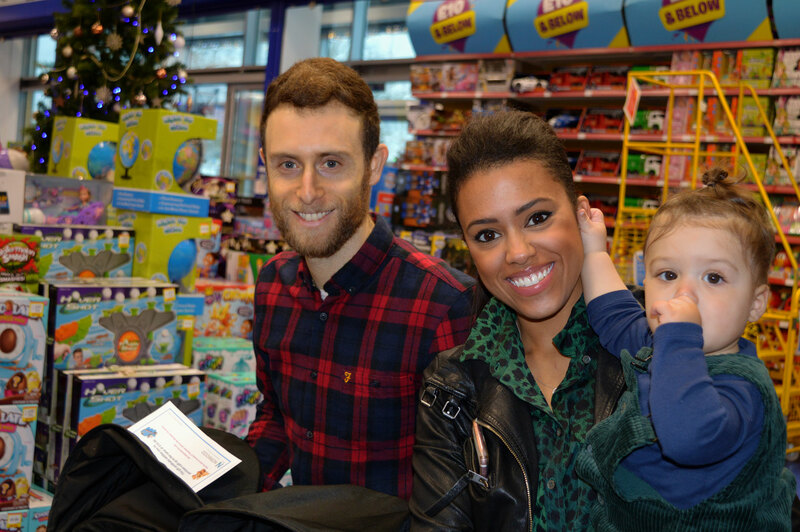 One of the families attending were Jonathan, his wife Sam and their one-year-old twins Reuben and Matilda. Sam attends Norwood’s Twins & More group, which offers support to mothers who have had twins or triplets. Jonathan says: “My wife attends the group every week and the support they’ve given has been amazing. They give all the mums a safe space to share their experiences and issues, while the children are being looked after by staff and volunteers. All the parents give each other advice and support. The friendships Sam has made from the group have been great, and their WhatsApp group means that support is always on hand.